Alexander Brink, born in Düsseldorf in 1970, is Professor of Business Ethics at Bayreuth University and Visiting Professor of Corporate Governance & Philosophy at the Private University of Witten/Herdecke since 2008. 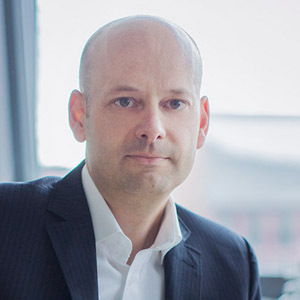 He is Co-founder and Partner of the concern GmbH, a Corporate Responsibility Management Consultancy and P&E spin-off located in Cologne and Scientific Director of the German Centre for Business Ethics in Berlin. Alexander Brink holds degrees in both in Economics and in Philosophy. He received a PhD in Philosophy from the Ruhr-Uni­ver­sity of Bochum and a PhD in Economics from the Private University of Witten/Herdecke (1999-2001). After a research visit at Yale University, he was Juniorprofessor of Applied Ethics at Philosophy & Economics in Bayreuth from 2002 until 2008. His professional experience covers various projects at Mannesmann, Degussa und SKW Trostberg in Germany, in the United States and in Australia. His publication list includes more than 20 books and over 200 contributions to edited volumes and journals. My fields of Business Ethics research are Corporate Governance and Corporate Responsibility. Corporate Governance is defined as leadership and control of a firm, Corporate Responsibility refers to companies taking responsibility for their impact on society. I am deeply interested in the question how to implement Business Ethics topics in the organisational and management theory. My goal is to provide a “Normative Theory of the Firm” as a kind of a “Philosophy of Management”-Programme. This is the theoretical side of science. As a Management Partner I am challenging theories in order to make them fruitful for real management problems and to further develop our economy and their organisations. You find my current and past courses on the P&E intranet.